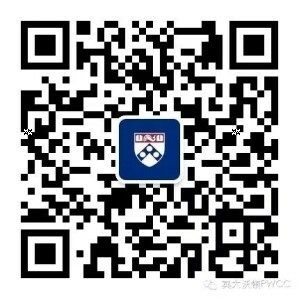 The Penn Wharton China Center is located in the Cesar Pelli-designed World Financial Center at the heart of Beijing’s Central Business District. Easily accessible by public transportation and with ample parking, the state-of-the-art 23,000-square foot facility includes a reception area, an open plaza, meeting rooms, group presentation spaces, and additional meeting and work spaces for scholars and staff. 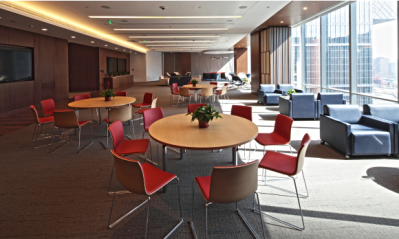 The reception area offers concierge support, access to eight adjacent meeting rooms, and features a video wall. The multifunctional plaza space can be configured to accommodate up to 100 banquet guests or an audience of up to 140 for presentations. The space includes an adjacent food-staging pantry and allows for a cocktail reception or lounge area. 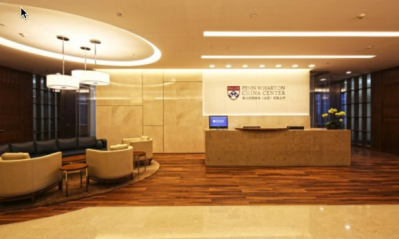 The amphitheater features an immersive Cisco Telepresence linked to Penn facilities in Philadelphia and San Francisco, as well as a built-in UN-grade simultaneous interpretation booth and equipment. 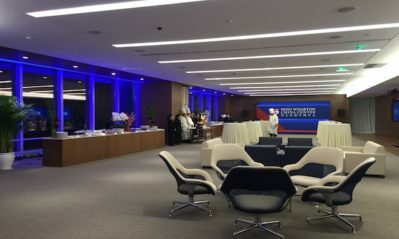 With tiered seating for 65, this telepresence facility will provide unprecedented opportunities for users and scholars to share their expertise with alumni, partners and colleagues in China—and to bring more Chinese practitioners, researchers, and scholars into Penn and Wharton classrooms in Philadelphia. 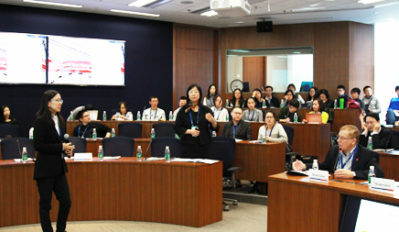 The flat presentation room also features a built-in simultaneous interpretation booth and Cisco Telepresence. It offers flexible seating for up to 40. Configured as a VIP Receiving Room, it can accommodate up to eight VIPs, two interpreters, and 10 back row staff. 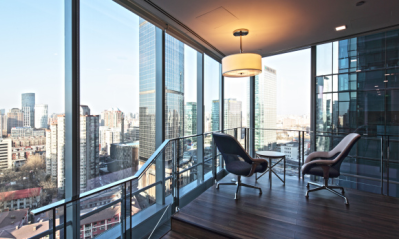 The grade A property is compliant with U.S. Green Building Council LEED Gold standards as well as stringent Hong Kong BEAM requirements.